Personal training companies are a booming business, and the people who run them are generally enthusiastic about their services. After all, they are helping people be their physical best. There are risks involved in running the business though. A personal trainer can find themselves injured when they move exercise equipment. A client can sue if he or she gets injured during the routine and thinks it is the personal trainer's fault. All these events can cause serious financial losses which can put a small business in jeopardy. Fortunately, if you get the right insurance policies, your business can keep going through many types of adversity. 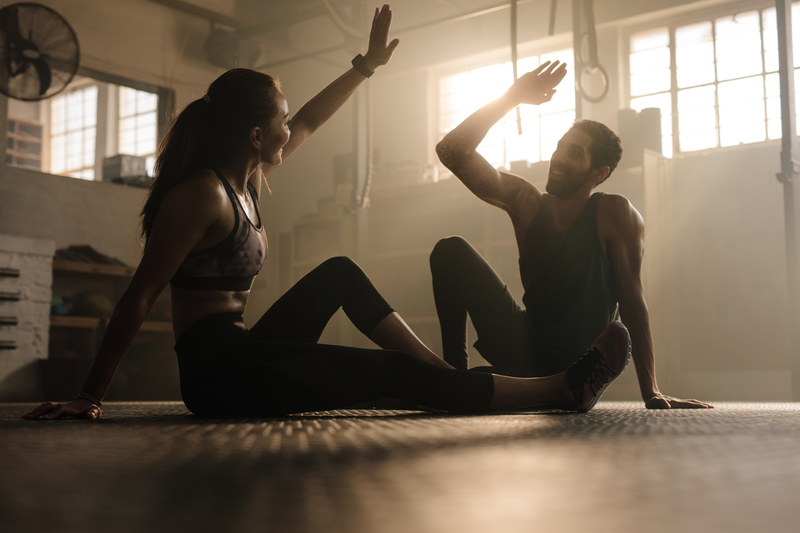 Most personal trainers and personal training companies share certain insurance needs, and it can be convenient and cost-effective to meet them by buying the common insurance policies in one bundle. These bundles of policies are called business owner's policies, or BOP's. For personal trainers, a typical BOP should contain general liability, professional liability, and commercial liability. You can also add other policies to your bundle to save money. Businesses with physical premises are at risk of clients coming on to their property and getting injured. Gyms, particularly, have a lot of hazards that a client might sue over if they are injured. General liability insurance, or 'trip and fall insurance,' covers the claims made in those circumstances. They could cover up to $1 million per claim, but types of specific situations and coverage limits could vary by insurance company. You will want to get with your insurance provider to work out the details. Professional liability insurance is important to anyone who provides a service where you instruct people in vigorous aerobic exercise. It is a difficult job that requires a deft touch, and clients can sue you over perceived negligence or mistakes. Professional liability insurance covers such claims on those occasions. You might also see this type of insurance called 'errors and omissions insurance' since it covers the errors and omissions of professionals. These types of policies generally cover 1 to 2 million dollars per claim, but you can talk to your insurance agent to figure out what best fits your company and services. Commercial general liability is insurance that covers the costs of defense and covering claims in lawsuits that involve non-professional negligence. This could involve things like letting the gym floor become slippery so that a client falls and gets hurt in the gym where you work. It could involve accidentally damaging the wall in a client's home with a barbell, or a class action lawsuit being filed against you for misleading advertising. There is also property damage insurance that stands on its own. There are also many riders that you can have added to your policy in order to make it fit your needs. You will have to talk to your insurance agent to figure out what your company really requires. Personal trainers handle heavy equipment in crowded environments. Sometimes the equipment is slippery or covered in bacteria, and the trainers can wind up getting injured or sick. The long hours can also wear you down, and most personal trainers want to look healthy for their clients. If you are the only one in your company, you will want medical insurance to cover all the illnesses that you can contract. This insurance will cover the check-ups and other medical services that will let a trainer keep working as long as possible. Personal trainers bring equipment to their work, and each piece of equipment has parts that can go awry. There may be moving parts on a weight lifting machine that can pinch fingers, or defective pieces such as Pilates balls. When defective equipment injures someone, you can be at risk of being sued, and product liability insurance will cover the cost of those claims. Workers' compensation is insurance that covers the medical needs of employees if they are injured while working. Personal trainers run many physical risks while working, and employers want them to recover quickly from any injury they receive. Equally important, companies are legally required by many states to have worker's compensation when they hire anyone. Commercialinsurance.net understands how important your business is to you, and how important it is to your business to be properly insured. That's why we help you find all the quotes you need to decide on the best policies for your situation. If you want to talk to a representative right away, you can call us at 1-877-907-5267. You can also enter your zip code in the field at the top the page, and then a representative will call you.